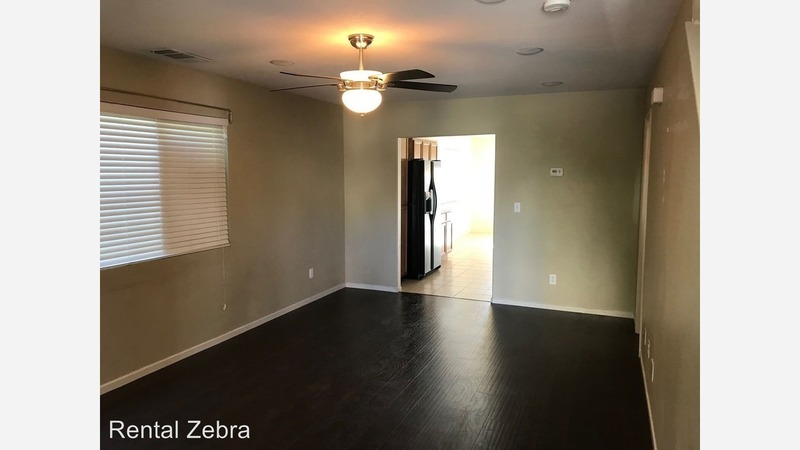 What does $1,400 rent you in the Fresno Metro area? Looking for an apartment in the Fresno metro area? We compared what $1,400 might get you in Clovis, Fresno, Hanford and Merced, using data from rental site Zumper to get a sense of what to expect when it comes to hunting down housing in the area. This three-bedroom, three-bathroom spot is located at 1401 Hillcrest Drive in Clovis. Asking $1,400/month, it's priced 15 percent below the $1,650 median rent for a three bedroom in Clovis. The home features a mix of hardwood floors and carpeting, both air conditioning and central heating, a fireplace, a dishwasher, stainless steel appliances, granite countertops and built-in storage features. There's also a fenced yard, a storage shed and a two-car garage. When it comes to pets, both meows and barks are permitted. Fresno -- 917 E. Ashlan Ave.
Next, there's this two-bedroom, two-bathroom situated at 917 E. Ashlan Ave. in Fresno's High Roeding neighborhood. It's listed for $1,395/month for its 1,583 square feet of space--47 percent pricier than Fresno's median two-bedroom rent of $950. Building amenities include assigned parking, on-site laundry and outdoor space. In the unit, anticipate central heating, wooden cabinetry, a dishwasher and a kitchen island. Luckily for pet owners, both dogs and cats are permitted. According to Walk Score's assessment, this location requires a car for most errands, isn't particularly bikeable and has a few nearby public transportation options. Hanford -- 222 McCreary Ave. Listed at $1,300/month, this 1,815-square-foot three-bedroom, two-bathroom spot at 222 McCreary Ave. in Hanford is eight percent higher than Hanford's median three-bedroom rent of $1,200. The home includes hardwood floors, high ceilings, a dishwasher, a fireplace, wooden cabinetry, exposed brick, in-unit laundry and ample natural light. Neither cats nor dogs are welcome. According to Walk Score, the surrounding area is somewhat walkable. Finally, here's a 1,469-square-foot three-bedroom, two-and-a-half-bathroom residence at 4376 Mathias Way in Merced, also listed at $1,400/month. That's two percent less than Merced's median three-bedroom rent of $1,424. In the unit, you can anticipate a mix of hardwood floors and carpeting, a dishwasher, a walk-in closet, wooden cabinetry, granite countertops and outdoor space. Pets are not welcome.